In January we opened our graduate scheme applications. One of the things we asked the potential grads to do was attach a photo to their application form that excited them. We had plenty of pictures from our applicants’ recent gap years, lots of images of lightbulbs and other creative symbols and all the other usual suspects you’d expect to see as an answer to this question. However – one person attached the venn diagram below. For some reason, it struck a chord with me. Not because it was particularly exciting, but simply because it’s a fact of life put across in an interesting way. 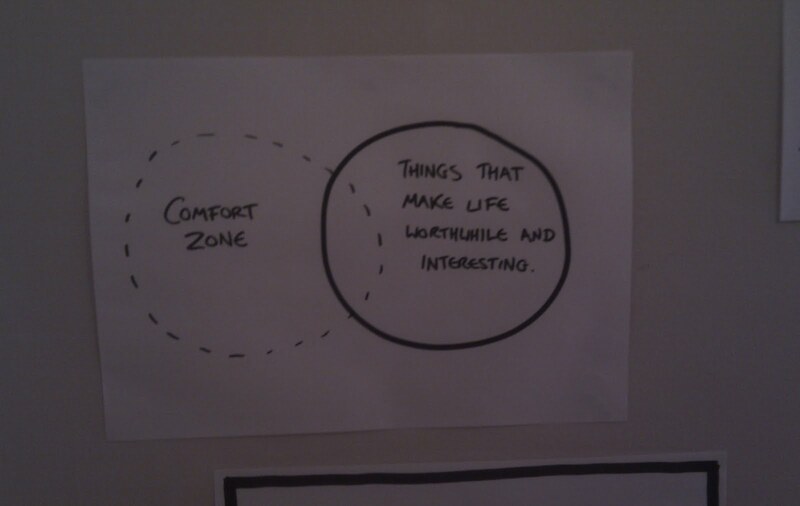 You do HAVE to step out of your comfort zone if you’re going to do anything interesting or have any stories to tell. 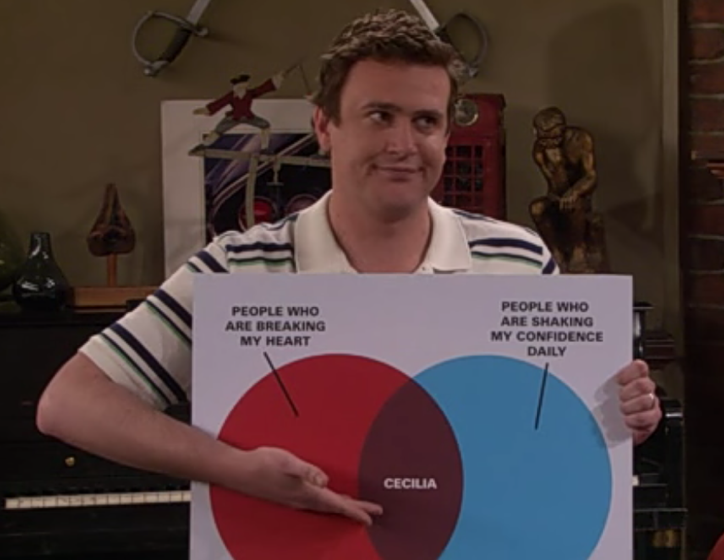 You SHOULD try and use venn diagrams (and other charts) to express yourself. It’s now stuck up on my wall at home.